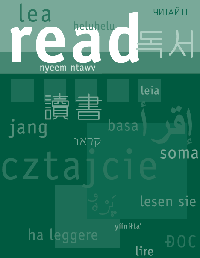 The Library supports English language learning and adult literacy with a wide selection of materials, electronic resources and specialized services. The Literacy Center, located at the Main Library, contains books, DVD’s, literacy kits and more to assist literacy and students and tutors. We offer many special English language learning services such as Rosetta Stone, a “Let’s Talk” discussion group and private tutorial rooms that can be reserved by literacy tutors. This website provides information about our materials, resources and services and also links to helpful websites, apps, podcasts and literacy organizations. Contact the Adult Information Desk for more information at (248) 232-2290 or wbref@wblib.org.